Loan Officer Resume Home of the Make a Free Printable Resume! Need a Loan Officer Resume? Are you a Casualty of the housing meltdown? An eResumes4Vips Loan-Officer-Resume that will Start Up a Job App. Housing Meltdown! Who would have thought it would be this bad? eResumes4Vips is here to hold your hand for your next executive job position preparation. A Mortgage Loan Officer Resume is our niche specialty. OBJECTIVE: A Commission-based, Branch Manager position as a Mortgage Banker in a Fortune 1000 Financial Services corporation. Recommended approval of customer applications for lines and extension of lines of credit, commercial loans, real estate loans, consumer credit loans and credit card accounts. Interviewed 150 applicants and requested specified information for loan application. Analyzed applicants' financial status, credit and property evaluation to determine feasibility of granting loans. Trained and managed an 8 mortgage processing team and achieved a measureable 60% improvement in their productivity. Selected information, including company financial statements and balance sheets, and recorded data on spreadsheet. Compared liquidity, profitability, credit history and cash with other companies of same industry, size and geographic location. Approved loans within specified limits and referred loans to loan committee for approval. Served as President of Arizona Association of Mortgage Brokers and Bankers, 2004-2005. 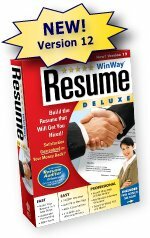 WinWay(c) Resume Deluxe is the easiest and most complete job-winning system available. With it you can write your resume, track your contacts, write cover letters, and print associated envelopes. After successfully securing the job with your eResumes4Vips loan officer resume, it's time to meet loan prospects and take an app...or two.